People don’t leave the Point, even if they move far away. Or at least that’s how it seems to journalist Kathy Dobson. Growing up in the 1970s in Point St. Charles, an industrial slum in Montreal, she sees how people get trapped in the neighbourhood. 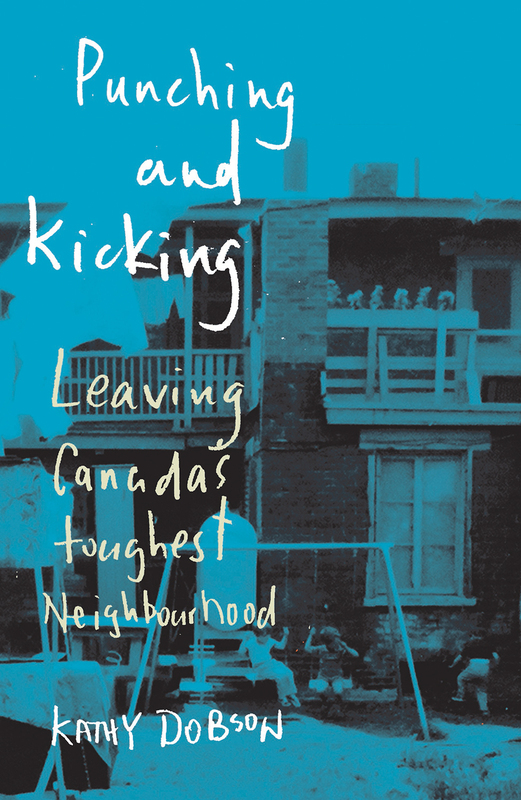 In this sequel to the highly praised, With a Closed Fist, Dobson shares her journey of trying to escape from what was once described as the toughest neighbourhood in Canada. Kathy and her five sisters, raised by their single mother, deal with slum landlords, “pervy uncles,” and their father—a mostly absent police officer who does occasional work on the side for the local mob. As Kathy grows up and starts attending college outside the Point, she has to learn how to survive in a new environment where problems aren’t solved by a good punch to the head. Kathy Dobson is the author of With a Closed Fist: Growing Up in Canada’s Toughest Neighbourhood (2011). Her journalism has appeared in The Globe and Mail, National Post, and on CBC Radio. She is a Vanier Scholar and doctoral candidate in the School of Journalism and Communication at Carleton University. 240 pp 8.5" x 5.5"